One of my grandmother’s favorite movies was South Pacific. When my mom was little, she and my grandmother would perform the “Happy Talk” song for their dinner party guest (complete with hand gestures memorized from the movie). I can picture them in their Mad Men-era outfits doing the hand gestures and singing for their cigarette-smoking, martini-swilling company. As I grew up, the lyrics of the song became a family mantra for doing what you love. It still is today. Despite my grandmother’s love of dancing and music, my grandparents didn’t have a band at their wedding. They couldn’t afford it. As a result, they didn’t have an official wedding song. But they did have their song, “I’ll Be Seeing You.” My grandmother first recorded it in a little booth at a record store and sent it to my grandfather, who was overseas serving as a marine in the Korean war. My grandfather, always a smooth, persistent, and slightly crazy man, persuaded someone at their base to play it over the loudspeaker that night before they went to bed. A sleepy group of hard marine corp men in their bunks, drifting off to sleep as my grandmother’s Ella Fitzgerald-like voice, velvety smooth, floats over the loudspeaker, lulling them to sleep. Whenever I hear the song today, I think of it as a little sign from my grandparents, reminding me I’m never far from their thoughts, and to always keep a song in my heart. 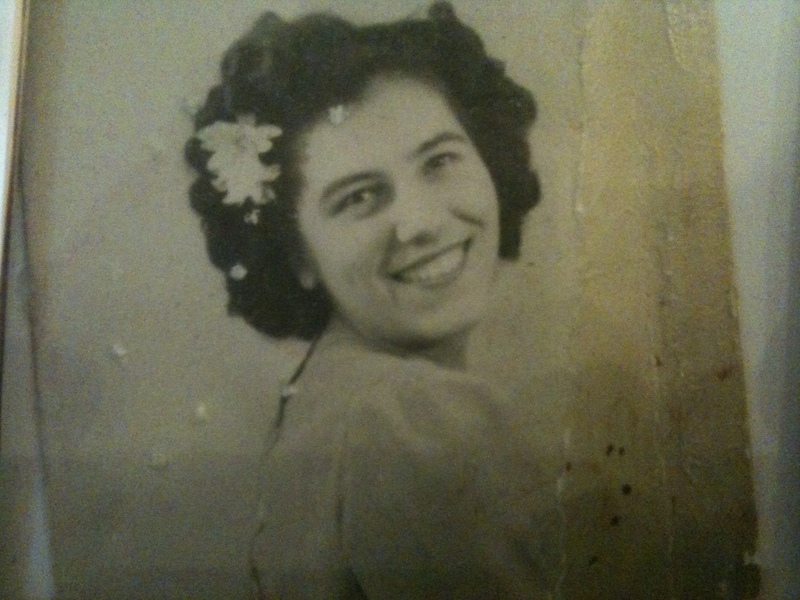 My grandmother was a woman who loved her family. She worked tirelessly for them both in and outside of the home. However, it wasn’t until after my grandfather died that she truly came into her own. Her lifelong love of singing lead her to take the stage at the annual senior citizen musicals, she joined clubs, stayed connected with old friends, cooked her way through a mind full of recipes, and listened, endlessly, to music. I can never remember a time when she wasn’t singing or humming or playing music. She was the one who recognized that kinship in me, in my vocal talent. I’m not sure who I would be today if it weren’t for her early support of my love of the arts. A year ago today, my grandmother passed away from complications due to Parkinson’s disease. After Alzheimer’s, Parkinson’s is the most common neurodegenerative disorder. There are short-term treatments, but no cure. For now, all we can do is donate, speak out and speak up.